Why was this project so successful? 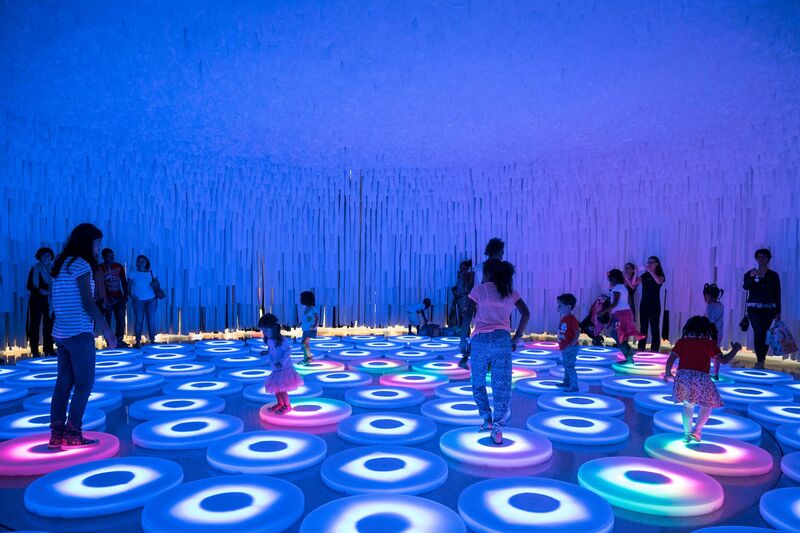 LIKEarchitects, a Porto-based architecture studio constructed the temporary exhibition at Colombo Shopping Mall in Lisbon, Portugal that would hold Jen Lewin’s highly interactive luminous installation titled ‘The Pool’. As it turns out, this was not LIKEarchitects first innovative project. Over the years, the Porto-based studio has consolidated a reputation for itself for producing experimental, innovative and sometimes provocative designs that have helped to change the world of contemporary design as people understand it. 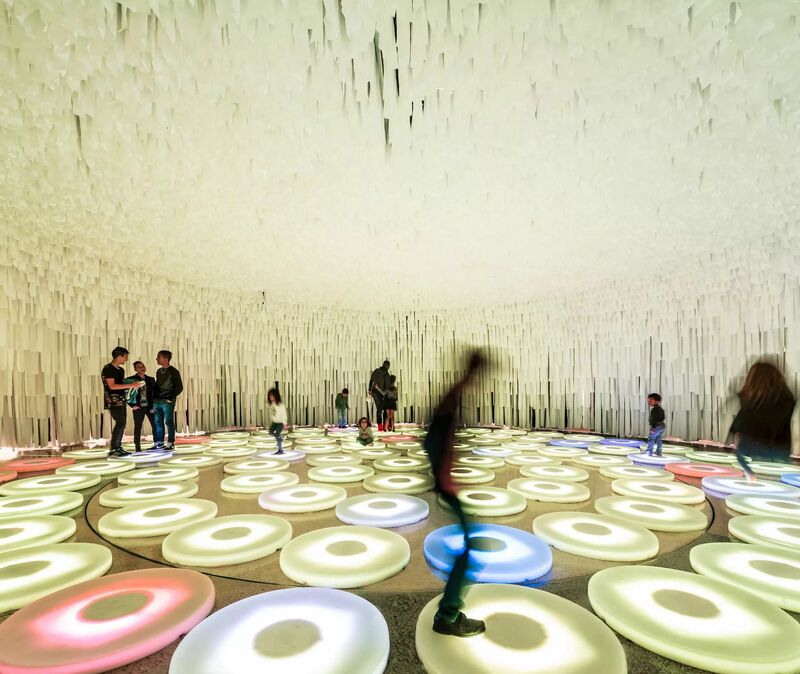 The partners at the studio, Joao Jesus, Diogo Aguiar, and Teresa Otto draw from their experiences at the University of Porto where they studied architecture, as well as their professional experience as architects to create their designs. 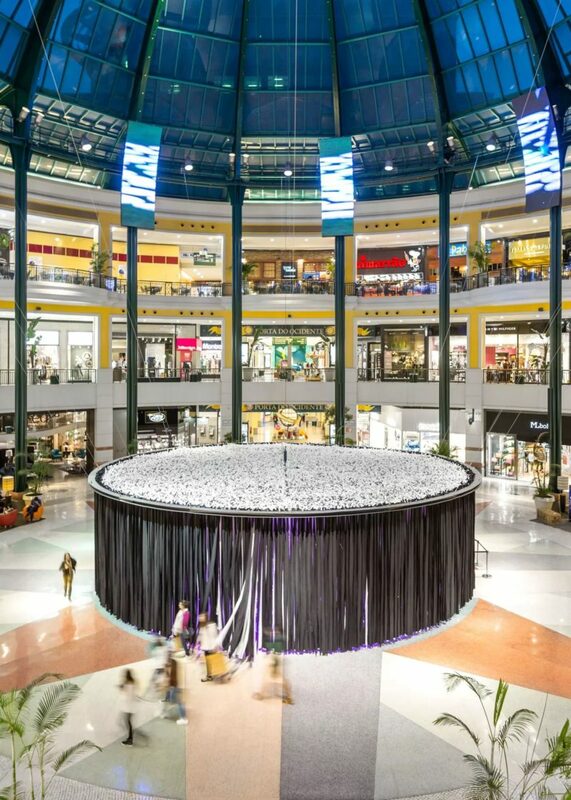 The wonderWall project was completed in 2014 to accommodate “The Pool”, a sculpture created by artist Jen Lewin. 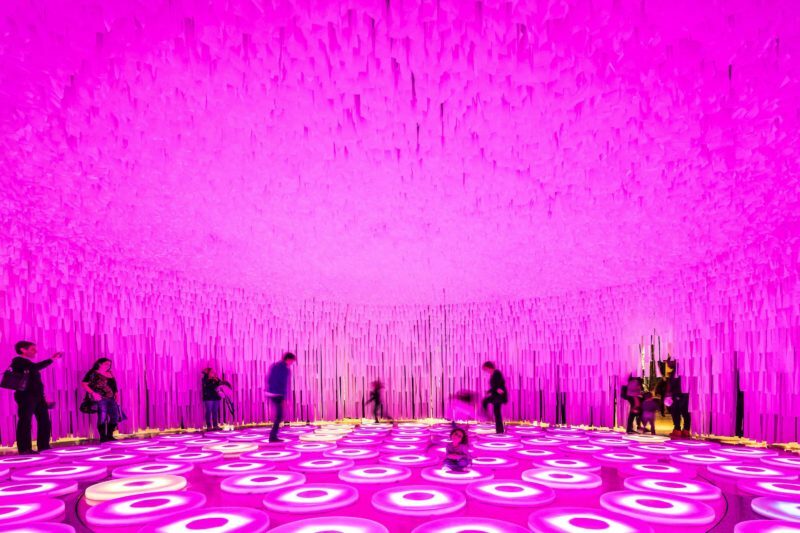 To create the venue for the Pool, LIKEarchitects suspended 20,000 strips of white and black fabric from a circle shaped frame. 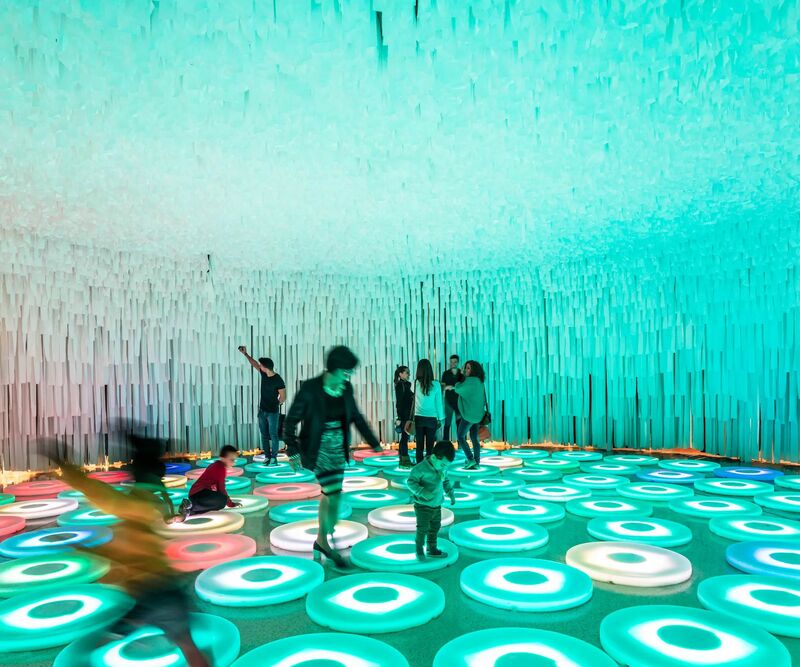 The strips, as well as their radial arrangement, is what made up the walls of the wonderWALL. 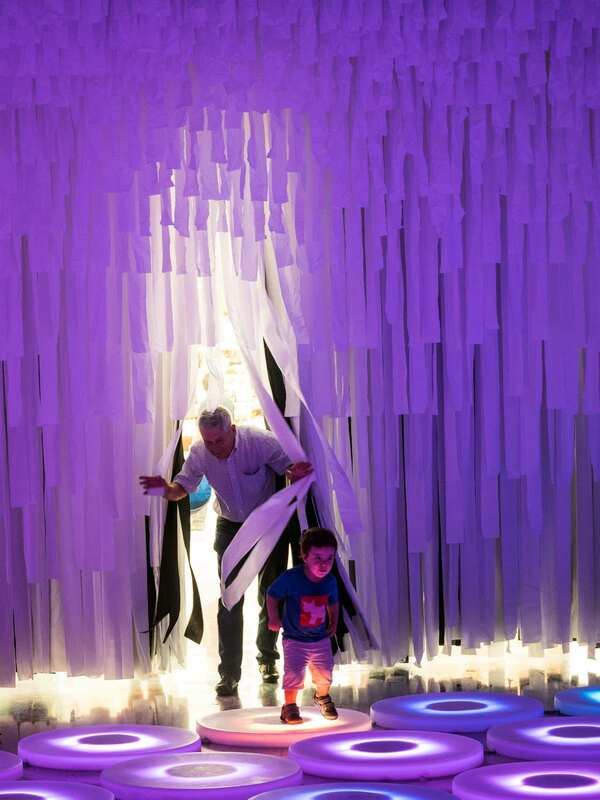 These strips could be penetrated by attendees and visitors to reveal The Pool by Jen Lewin. 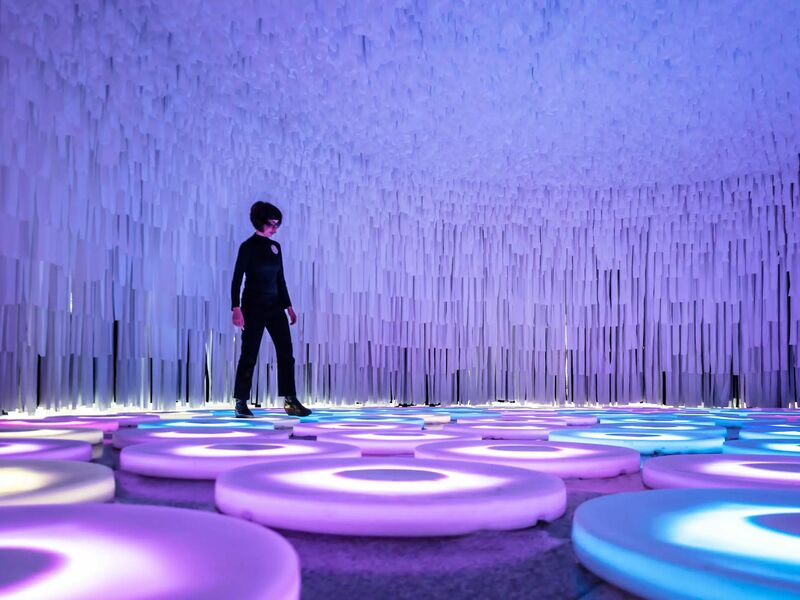 The interior of the wall was created in a manner that allowed the different toned to reflect all through the interior, as well as allow visitors from the outside to observe a continuous stream of colored light emitting from within the walls. The circular exhibition space was suspended on the shopping center’s domed roof. 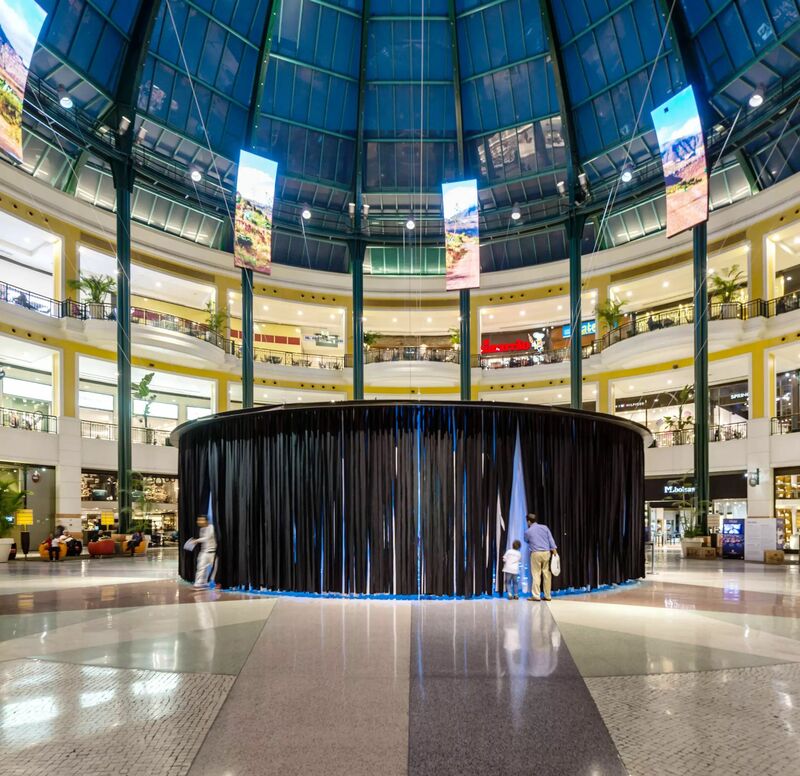 As these walls could be penetrated by visitors to the mall quite easily, LIKEarchitects successfully managed to combine art, architecture and an interactive visual component all in one installation. 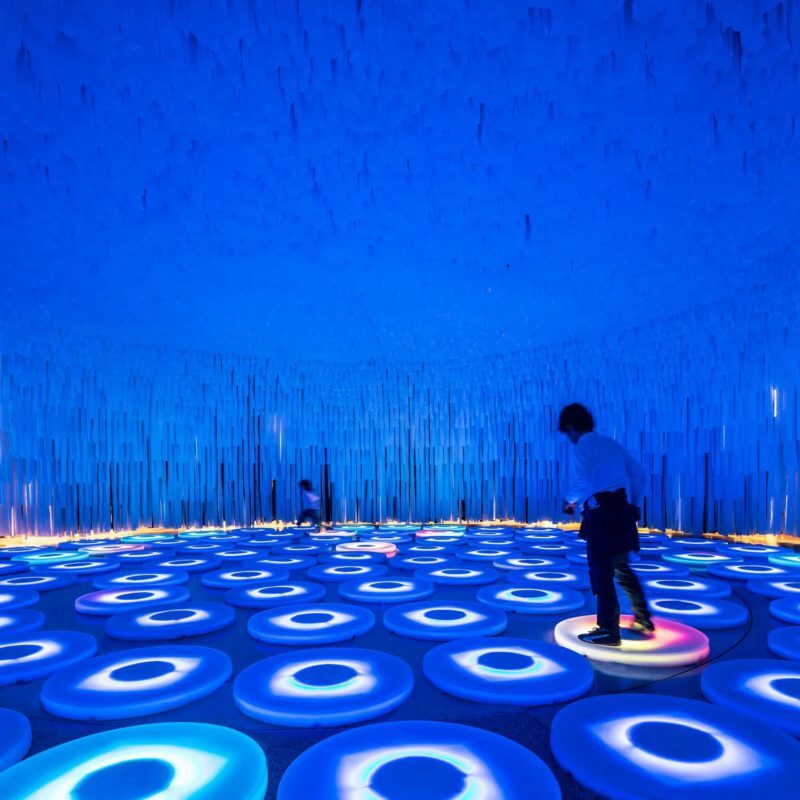 The Pool, which featured an environment consisting of massive, concentric circles fashioned from interactive circular pads, had been touring the world since 2012. 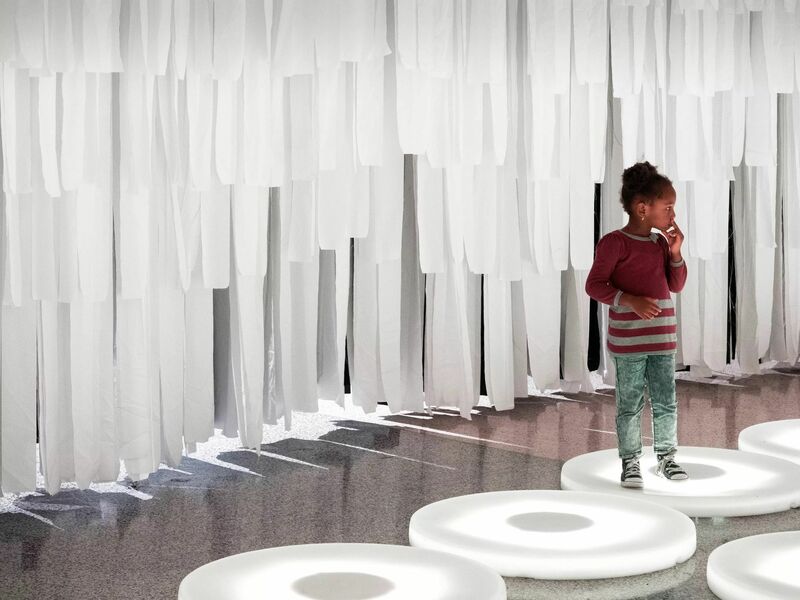 These pads were designed to communicate wirelessly: Whenever users would shift their weight or try to move from one pad to another, the motions would be reflected on the first pad. As more and more attendees played in the pool, the colors produced from the interactions would result in enthralling patterns of vanishing and shifting colors. 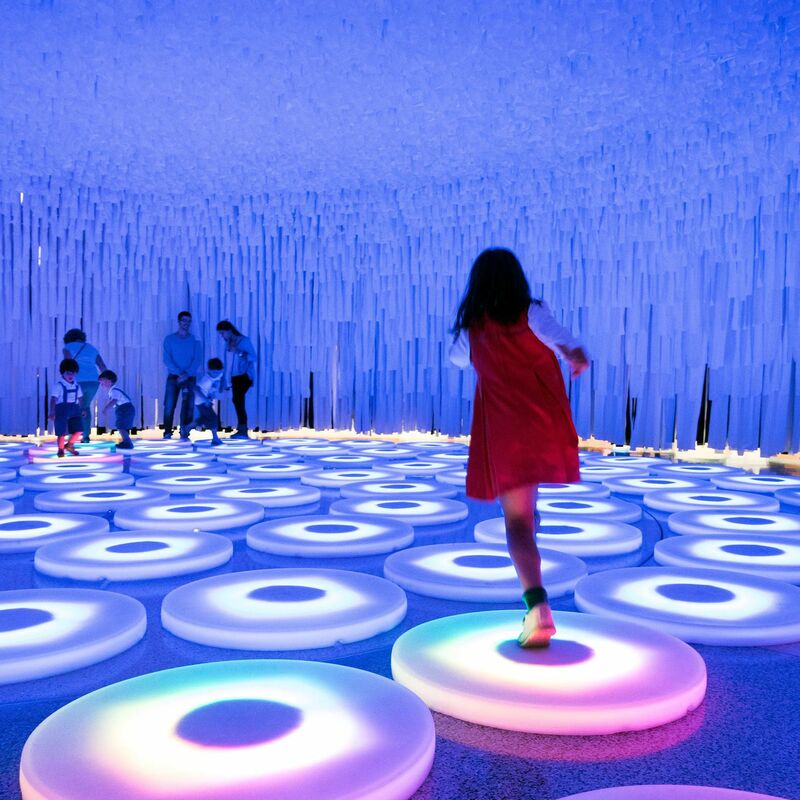 The interactive environment characterized by swirling colors and changing light is what helped to heighten the overall experience of users that were allowed to play on the concentric rings of circular pads. 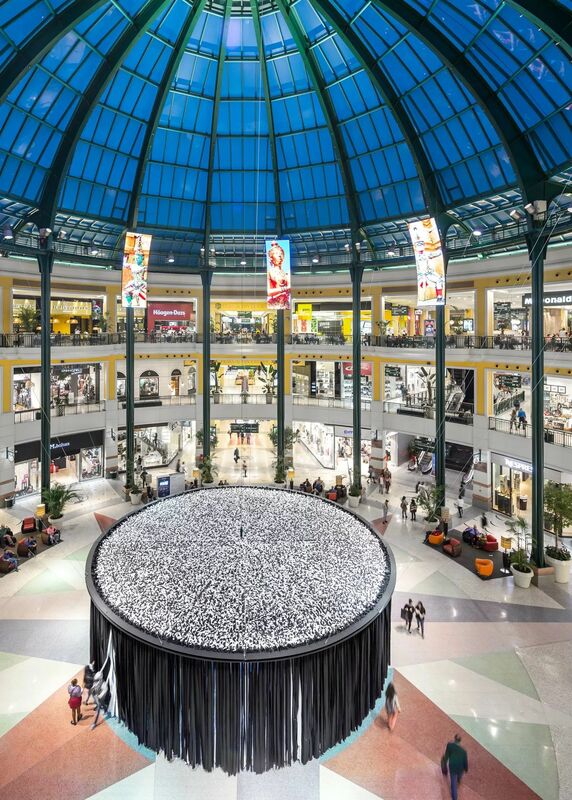 All in all, both the wonderWALL and the Pool complemented each other, which helps to explain why LIKEarchitects with Jen Lewin was so successful. All images by Fernando Guerra | FG+SG/likearchitects.com unless otherwise noted. 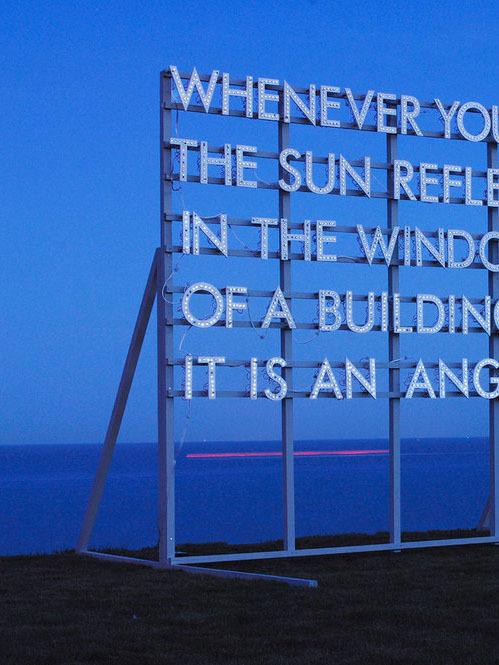 What do you think about Robert Montgomery’s poem billboards? 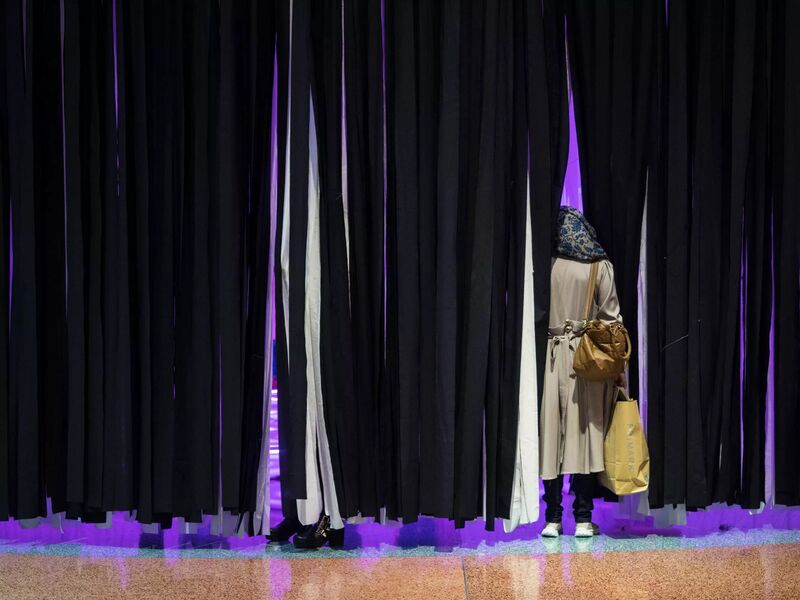 Posted on October 5, 2018	in the category Installation and tagged 2014, Architecture, Colombo Shopping Mall, installation art, interactive, Jen Lewin, LIKEarchitects, Porto, Portugal. 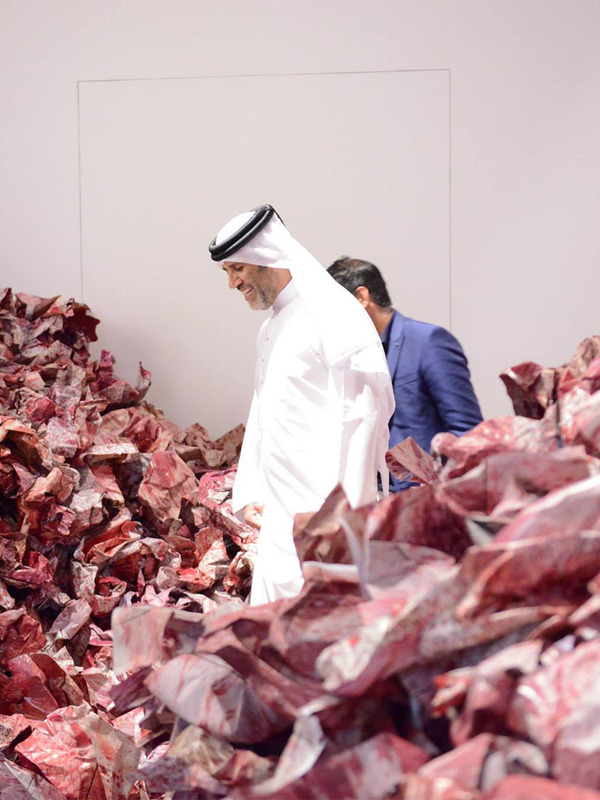 What is Ai Weiwei doing with 9000 children’s backpacks?